This week has gone by SO FAST. I cannot believe that a week ago, I was preparing breakfast for the crew who came to my daughter Kaylee’s Sweet 16 party. Where did my week go? Why no blog posts? 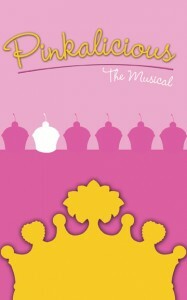 Tuesday, I went with Scott’s Kindergarten class to see a theatrical rendition of the popular children’s book, Pinkalicious. Scott and Jeb enjoyed themselves tremendously. Wednesday was the only day I had this week to actually work on my next cookbook. I am desperately trying to get it published this month. I am making such amazing progress, but parties and children and homemaking are constantly interfering with my writing time (heh). Wednesday night, Scott was running down the hallway at church and fell forward, landing with his entire body weight on his temple. Gregg picked him up and he closed his eyes while Gregg held him. Because he has some pretty intense sensory issues, we thought he was just hurting from the fall and drowning out the loud gymnasium where we were standing and talking to friends. But, he fell asleep on the way home (a 5-minute ride), was groggy while Gregg was putting his PJ’s on him, and fell asleep as I carried him to bed. We weren’t concerned, because his pupils were not dilated. Apparently, that is not ALWAYS an indication of something wrong. In the early hours of Thursday morning, Scott woke me and told me Jeb was coughing — he was actually having a croup fit. It took me about 45 minutes to get him clear (steamy bathroom, 25 degrees cold air outside, steamy bathroom, finally cleared him up.) Since he does not have school Thursdays, I wanted to let him sleep Friday morning, so I woke Scott and carried him downstairs to get him ready for school. When I stood him up, he swayed and gripped his head and said his brain hurt. Then he threw up. 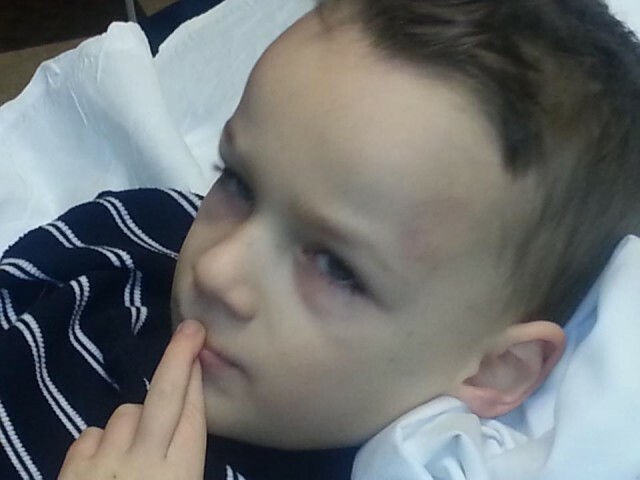 His pediatrician looked at him and did not like the way he acted or looked, so he sent us to the ER for a CT scan. About 5 minutes after I got there (our doctor had called ahead and the staff immediately triaged him and put us in a room), Gregg arrived from his office, and about 5 minutes later, our pastor arrived. He anointed Scott with oil and prayed over him. (I love our pastor.) Scott was a trooper during the CT scan, even though he was scared. The results were clear – no bleeding on the brain — but he definitely has a concussion. Gregg and I had a writers’ dinner Thursday night, but we canceled our babysitter and he sent me on without him. I enjoyed a nice dinner with my writing friends, and came home to the report that he’d had to keep Scott from jumping off of the back of the couch — already the lethargicness was fading and his energy was returning. Which will be a lot of fun this weekend since we’re supposed to be keeping him quiet. 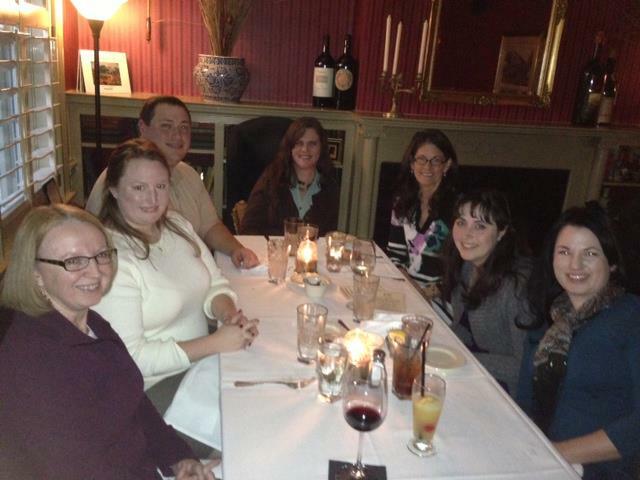 Authors Dinner at Merrick Inn with Liliana Hart, Cherie Marks, Katherine Lowry Logan, Hallee Bridgeman, Kathleen Brooks & husband Chris Counts, and Donna Jane McDonald. Liliana is in town to present a workshop on self-publishing at the Kentucky Romance Writers Spring into Writing annual conference this Saturday at The Hyatt Place. And, that brings us to this morning. A Friday that my children are off from school. Scott woke up and said his head doesn’t hurt anymore. Kaylee is headed to the DMV to get her driver’s permit. I have a writers’ workshop this weekend with the Kentucky Romance Writers that will continue from last night, and I haven’t done a thing on this blog since Monday. I am SO glad your son is okay. When my middle son was in fifth grade, he fell during a Boy Scout meeting…FORTUNATELY he lost consciousness and had a seizure. Otherwise, he probably wouldn’t have been as lucky as Scott. By the time we got to the ER, he was awake and cranky, but they sent him for a CT scan “just in case”. He fell at 7:30 p.m. By 10:30 p.m. he wasn’t able to stay awake, was vomiting, and was being prepped for removal of an epidural hematoma. While everything was happening, I was completely calm…partially because I didn’t really understand the gravity of the situation, but also because there was a Scout Master there who was trained in wildnerness survival, and a dad there who is an EMT. I am so glad that your son is okay…and glad you shared your story…I hope everyone who reads your blog hears this message: If your kid gets a big bonk on the noggin, don’t ignore it!!!!! I love you Hallee, you can even make disaster readable!! “lethargicness” = “lethargy”. Glad to hear all is well! Concussions can be bad news. Don’t ask how I know. “If your kid gets a big bonk on the noggin, don’t ignore it!” For reals! Or your spouse! Or someone else’s kid! Really, head hits are not to be ignored. I am well known for making up words when the word I want doesn’t readily come to mind – lol. Thank you. Now I know.